This stunning, fine and impressive antique 1920's blue sapphire and diamond ring ring has been crafted in 18ct yellow gold with a platinum setting. The platinum set hexagonal setting is ornamented with a central feature collet set 0.81ct round mixed cut blue sapphire. 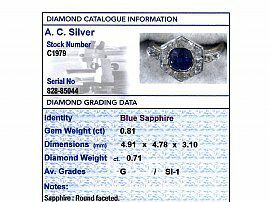 The sapphire is framed by twelve channel set calibré cut diamonds. 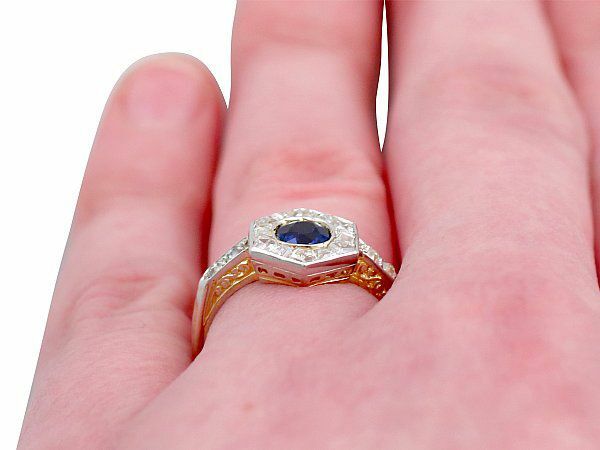 The elevated ring shoulders are each accented with the pavé set Old European round cut diamonds, and embellished to the sides with a engraved scrolling decoration, integrating with the main setting and melding seamlessly with the plain bevelled 18ct yellow gold ring shank. 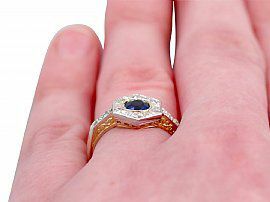 The ring is hallmarked to the interior with a worn 18ct gold fineness mark (750), and struck to the outer shank with the French import marks for 18ct gold (owl) and platinum (masked man). 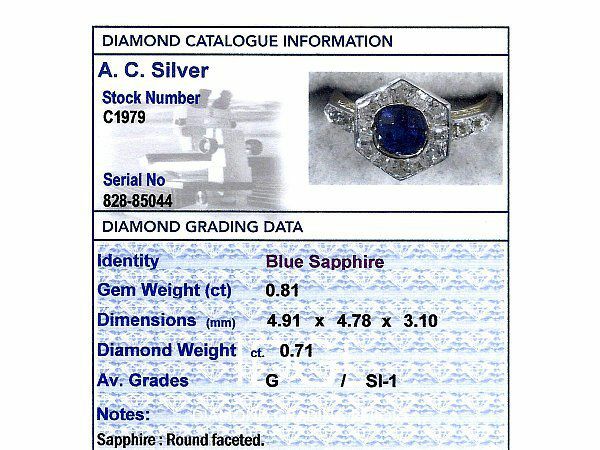 This antique 1920's blue sapphire an diamond dress ring is supplied with an independent diamond grading report card. 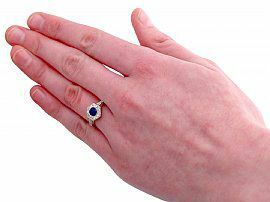 This stunning geometric sapphire dress ring is exceptional quality set with impressive sapphires displaying fine colour and brilliance, and rare very high colour graded old cut diamonds displaying a fine white colour and brilliance. 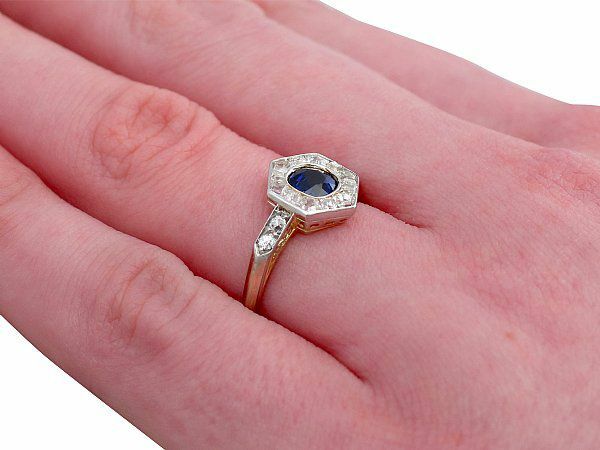 The ring is a very good gauge of gold and is in excellent condition with partially worn hallmarks to the interior, and clear French import marks to the outer surface.